Hello friend! If you are looking for any format of an authorization letter, then you have come to the right place. 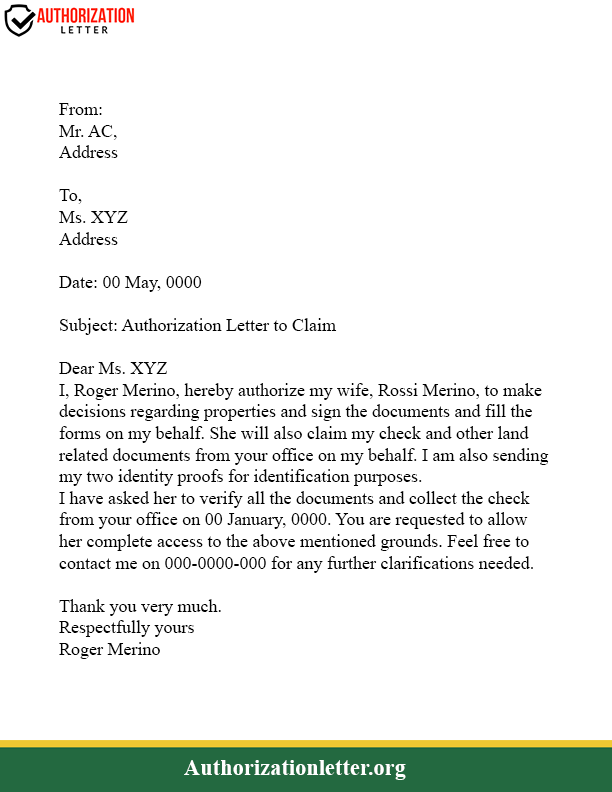 An authorization letter is a formal document which is used to hand over your authority to another person. It is an important document used by various entities, such as businesses, schools, property matters, etc. 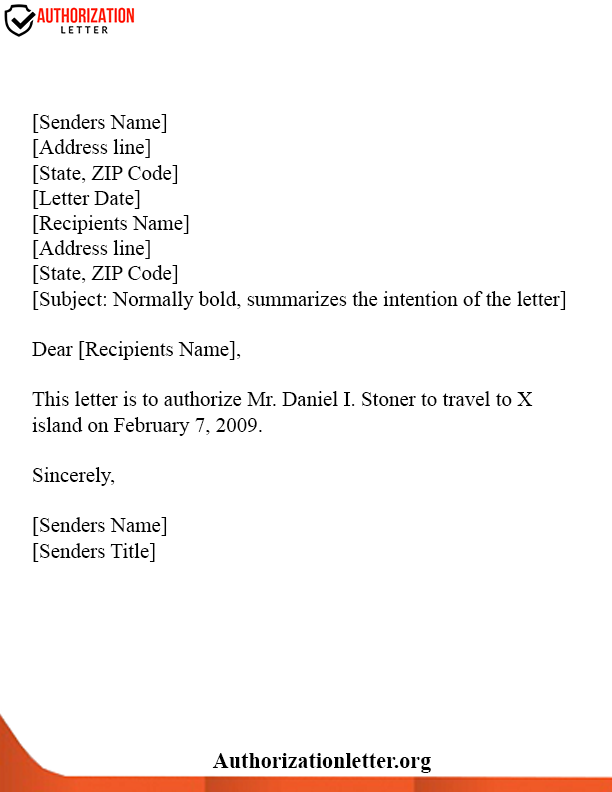 a good example of an authorization letter is a permission letter for a school trip. 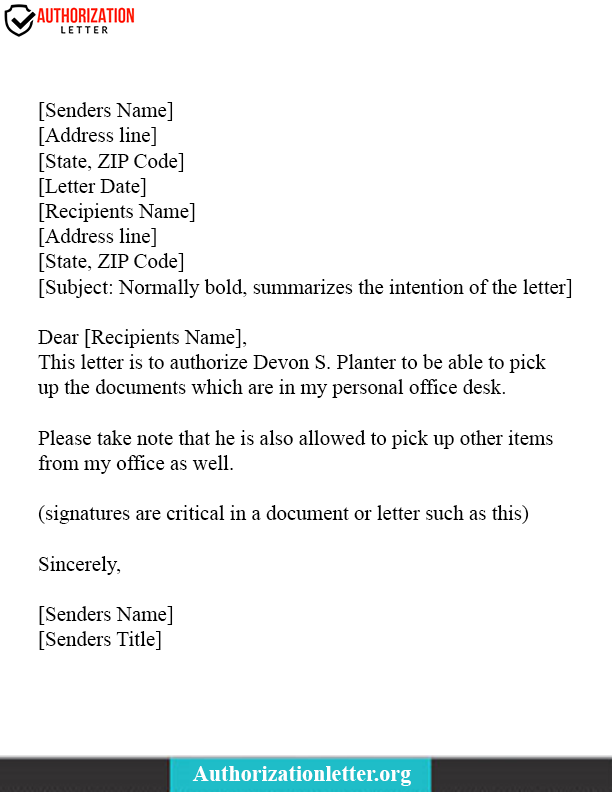 Here through this article, we have tried to explain to you about all the formats of authorization letter templates and cover all their formats. So you can get here various examples of authorization letters, which you can use as a reference. 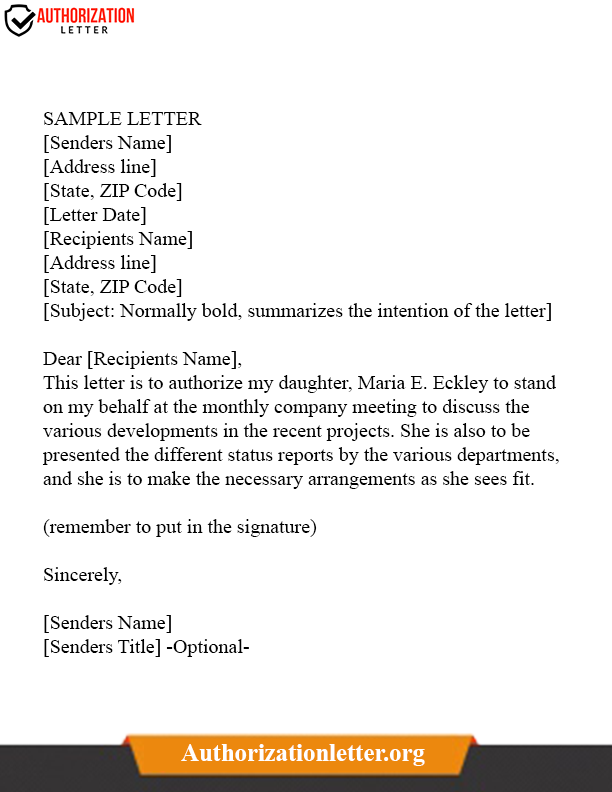 These templates will help you use the correct expression which should be used in the letter and create a professional authorization letter. Simply stated, a letter of authorization is a legal contract made between two or more parties describing their legal authority, roles, duties, etc.of a particular person. Although this authority can be granted to anyone, it should preferably be granted to a responsible and a trustable person. The authority to be granted can be legal, medical, business or for personal activity. An important thing to be kept in mind is that the time period is very necessary while writing a letter of authority. It means that a letter of authority should clearly state the time period for which the authority is granted. Now many of us struggle to write an authorization letter, or how to properly structure it. 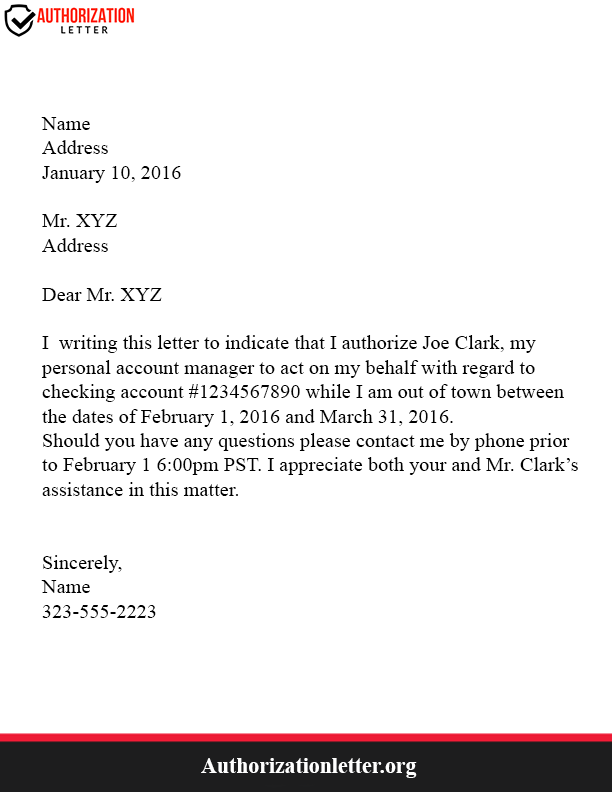 As you know, an authorization letter is used for professional as well as personal reasons. So the intention for its writing can be business, legal, medical, personal, etc. 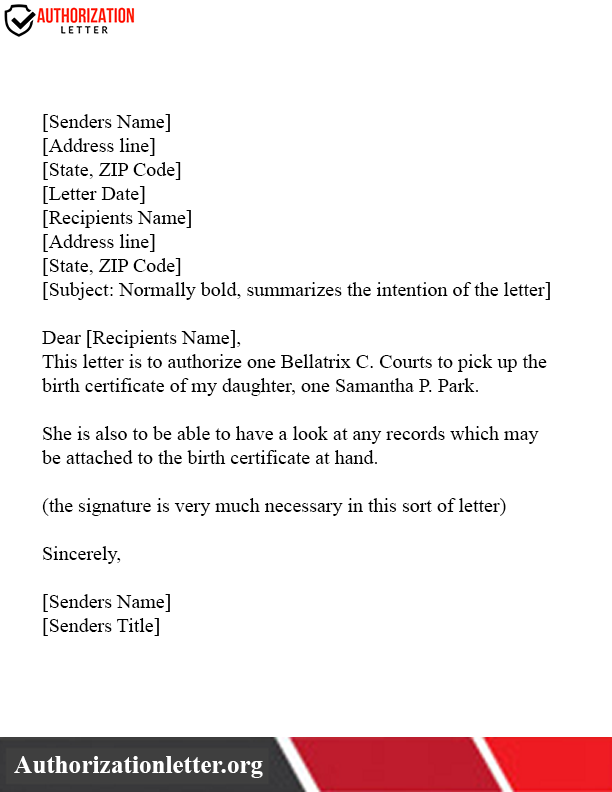 Hence, in the beginning, you must write addressee’s legal name or company name and their present address. This letter should be written in a simple and straightforward language, but the tone of the letter should be kept formal. And you should explain in detail the terms and conditions binding upon the parties. 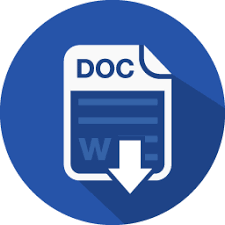 Any professional letter follows a particular format, so this letter also has a format which needs to be followed while writing it. It should be written in an organized manner following a proper structure. The format may vary from the purpose of the letter, but the basic content remains the same. Name and contact details of the addressee. 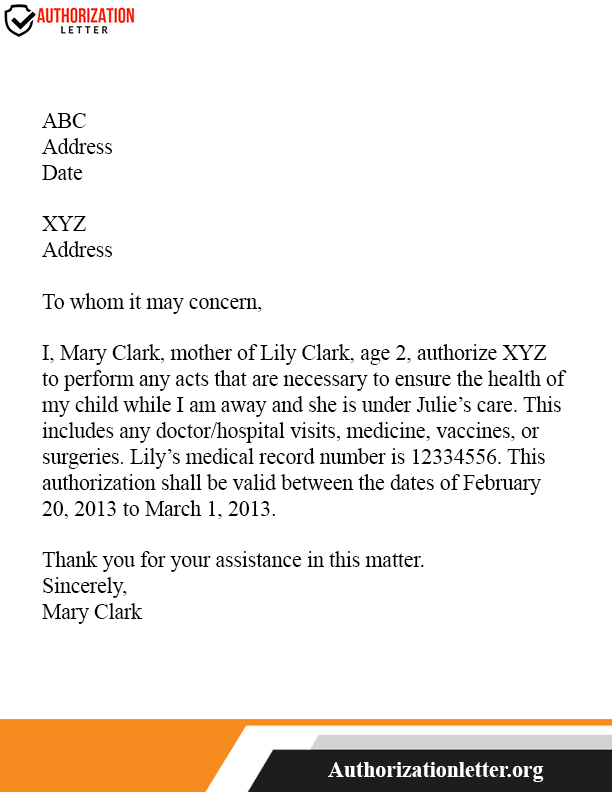 The subject matter of the authorization letter. 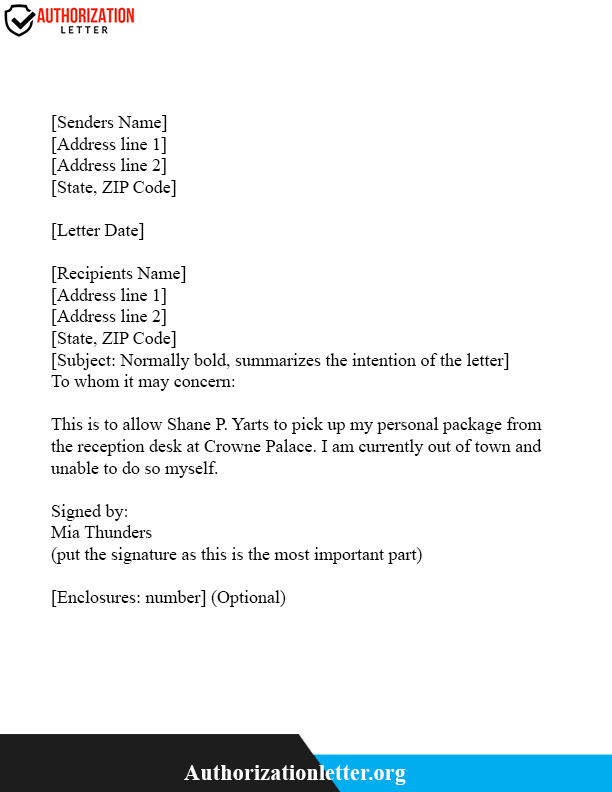 The main body of the letter. Make sure to explain all the terms and conditions in detail and mention the time-frame of the contract clearly. A concluding paragraph instructing the recipient about the action needed to be taken. 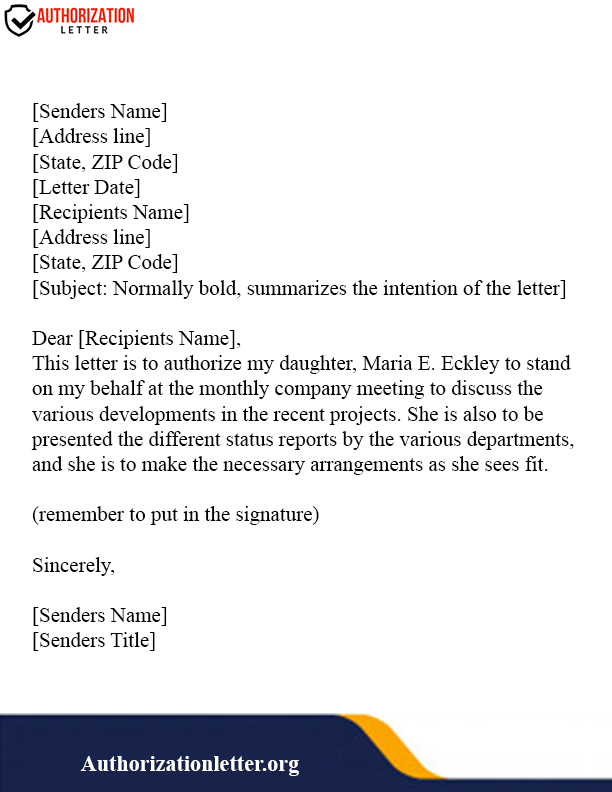 A sample authorization letter is very helpful as a reference to write our own authorization letter. It helps us to learn about the proper tone, language, and structuring required to write our own letter. Since these are customizable, you can add any information to it, depending upon the terms of your contract. 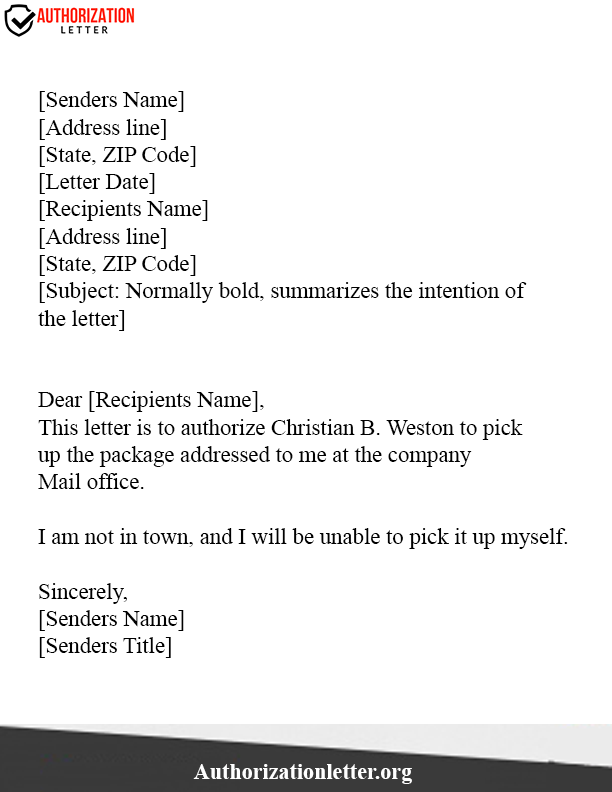 Here we have provided you with a sample authorization letter which can be downloaded and printed. So you can customize it and add any information according to your requirements. 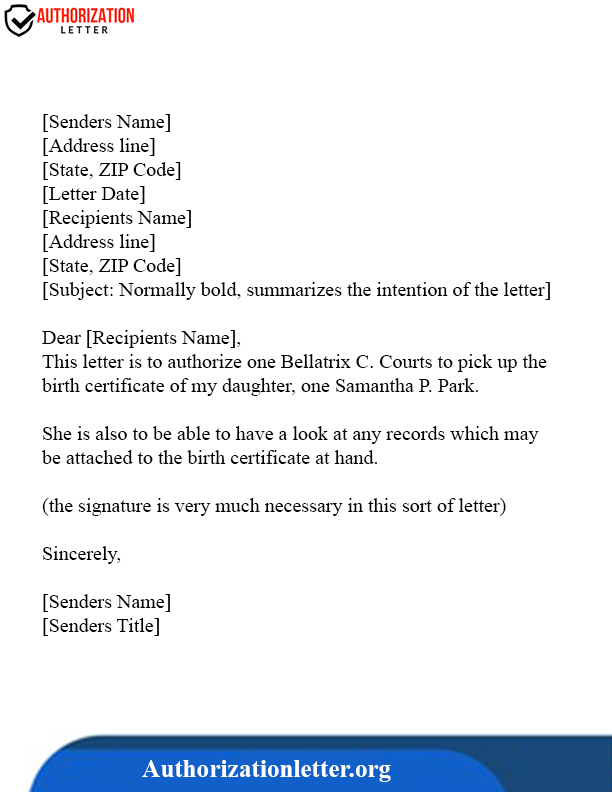 If the proper guidelines are followed, it is not difficult to write an authorization letter. You should be able to clearly state the terms and conditions of the contract. Apart from that, the tone of the letter should be formal without any ambiguities. You should try to keep the language as simple as possible so that the recipient can understand the terms of the contract easily. 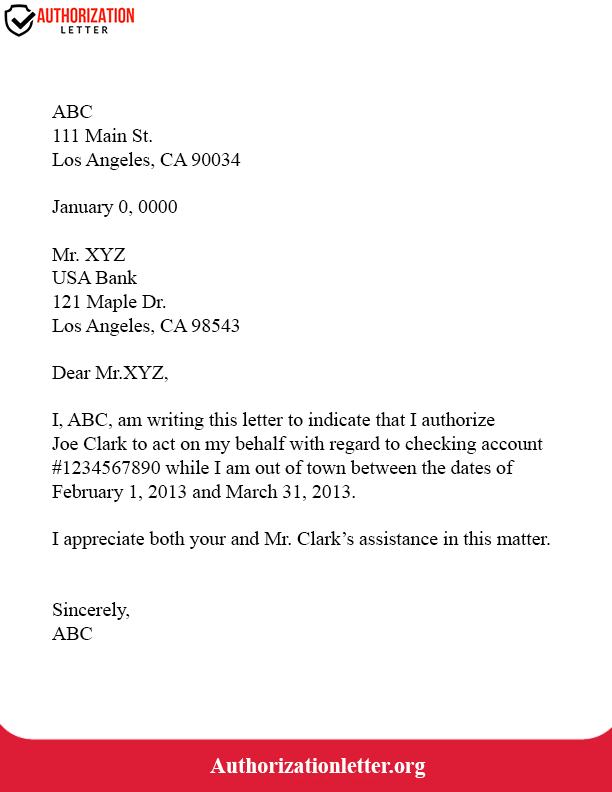 Here we have provided you with an example of an authorization letter. It will help you understand how to write an authorization letter and what language and format can be used. So you can pick up the correct expressions and terminologies to be used in your letter. 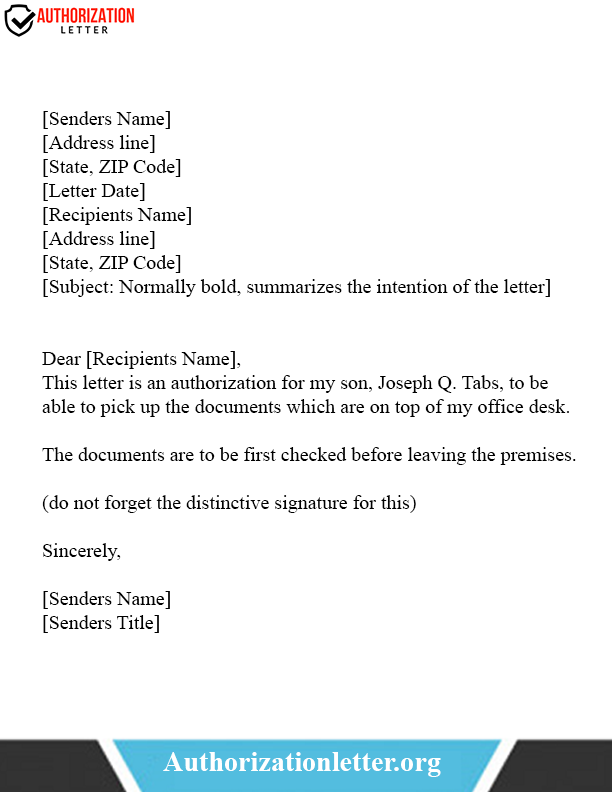 One of the most commonly used formats of authorization letter is the Authorization Letter to Act on Behalf. It is used to formally authorize any person to act on your behalf. 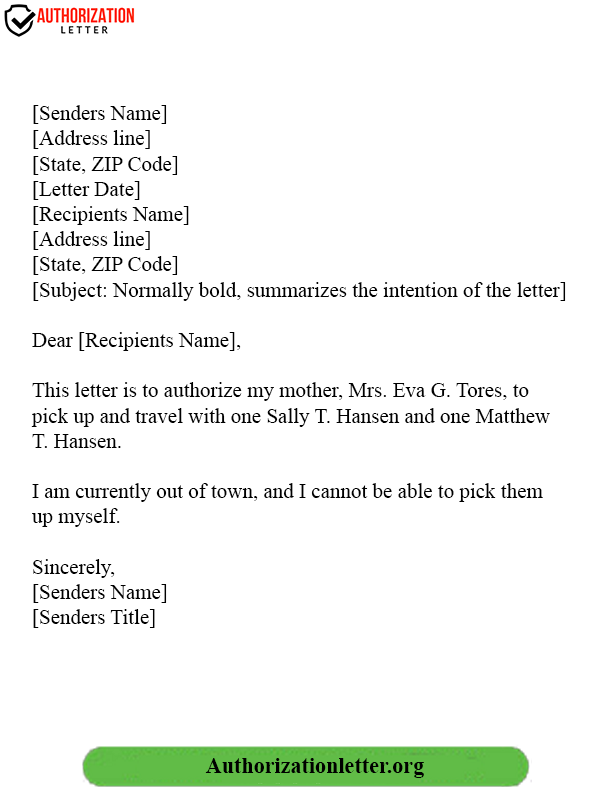 Hence through this letter, you can delegate your responsibilities to a particular person. Here we will provide you with a sample of an authorization to act on behalf. The letter of authorization form is used when you assign legal duties and responsibilities to a person with respect to the professional or social aspect. At the starting of the letter, it consists of the line “To Whomsoever it May Concern”. It clearly explains all the duties and responsibilities delegated upon the particular person. 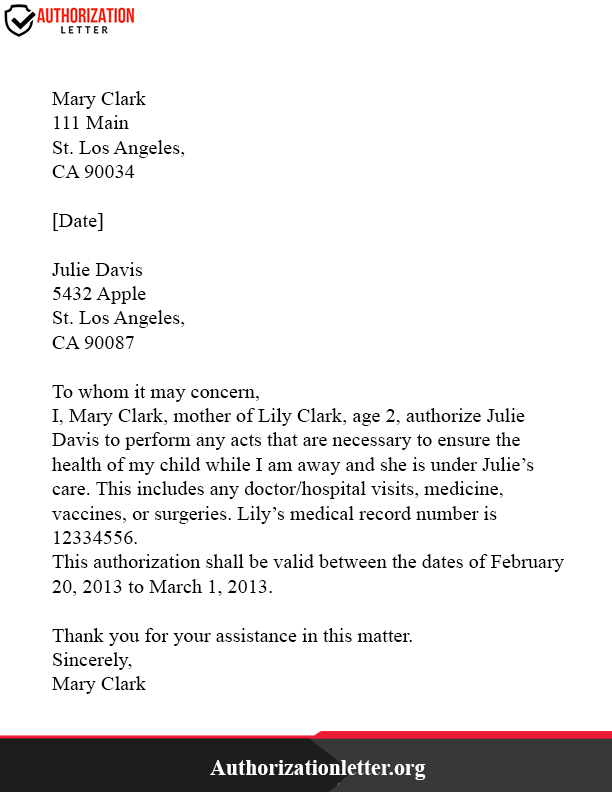 Another widely used format of an authorization letter is the medical authorization letter. 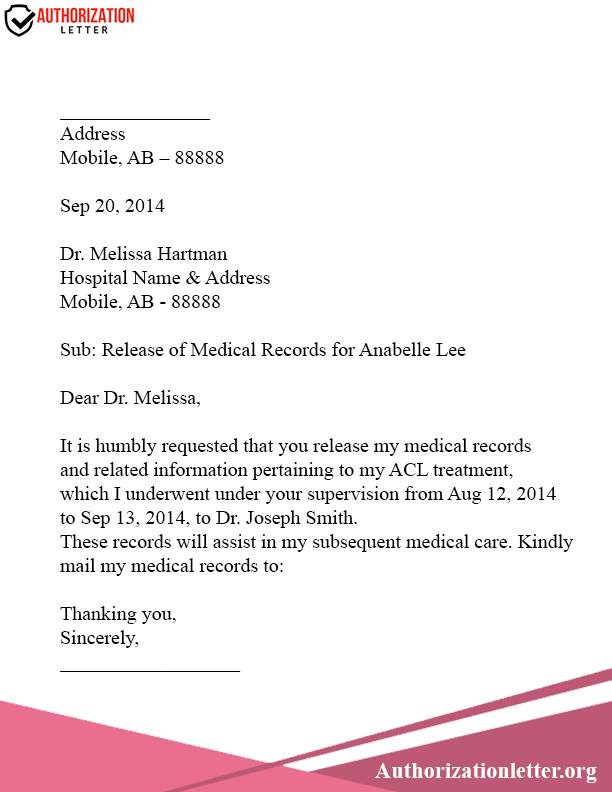 This authorization letter is used in situations where you want to transfer your medical authority to some other person. For example, if you are taking care of any near and dear one or your parents, grandparents, etc. It is used in situations where you need to provide constant medical attention to a person, but are not able to provide it due to some reasons. Imagine a situation where you need to pick up your passport but you are not present there physically to pick it up due to some reason. In such a situation, you can use the authorization letter to pick up a passport to authorize someone to collect your passport on your behalf. You will require a proper authorization letter in case you want someone else to collect it since the officials at the passport authority need valid proof of the person who will collect the passport on your behalf. 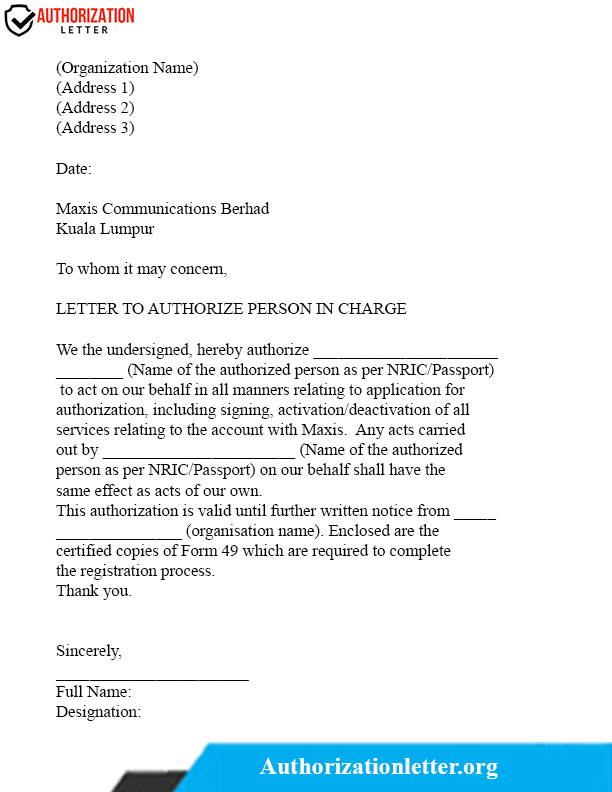 In this letter, you need to mention the reason for your absence to pick up your passport. Also the relation you have with the person collecting the document on your behalf.and that you have full faith in him/her. Another important Authorization letter with regard to business and personal use is the letter of authorization to represent. It gives power to some other person to take some decisions or take some action on their behalf. It is very similar to the power of attorney. The decision which needs to be taken can be with regard to personal, business or finance. Again, this decision is given to someone you can put trust on. Power of attorney means the transfer of authority by a person, which can be personal, financial, business, etc. to another person legally. A power of attorney can be given for taking care of a minor also until he attains the age of majority, i.e., 18 years old. It can be for situations where you are not able to take care of the minor due to financial, health or any other reasons. Insurance Appeal Letter for no Authorization is used to claim the insurance money in situations which are covered by your insurance policy. For example, you suddenly suffer from some ailment and need to be hospitalized. Then you can claim the insurance money for treatment by issuing your insurance company with a letter of the insurance appeal letter. It may happen in certain situations that it is compulsory for a minor child to travel with their parents, but they are unable to do so due to certain circumstances. In such situations, you can issue the Authorization Letter For Minor To Travel Without Parents so that you can formally acknowledge to the respective authorities that you cannot accompany your minor child. You should also mention the reasons for your absence and why you couldn’t accompany your child. If you want another person to undertake any banking transactions on your behalf, you need to ask permission from your bank first. It is just like giving power of attorney to a third person to undertake any banking activity on your behalf. Since a bank account is secure and is not permitted to be accessed by a third party, the bank needs proof in case you want to give authority to any third party to access your bank account. In case your child stays in a hostel or a boarding school and needs to come back home or travel anywhere for some urgent purpose, you can write an authorization letter for your child to travel. So you can request the higher authorities to allow your child to travel for any urgent situation. This authorization letter falls under the category of business authorization letter. It can be used by a principal to authorize his agent to grant authority for undertaking any contract. The agent needs to sign the authorization letter for acknowledging and giving assent to his legal duties and responsibilities. 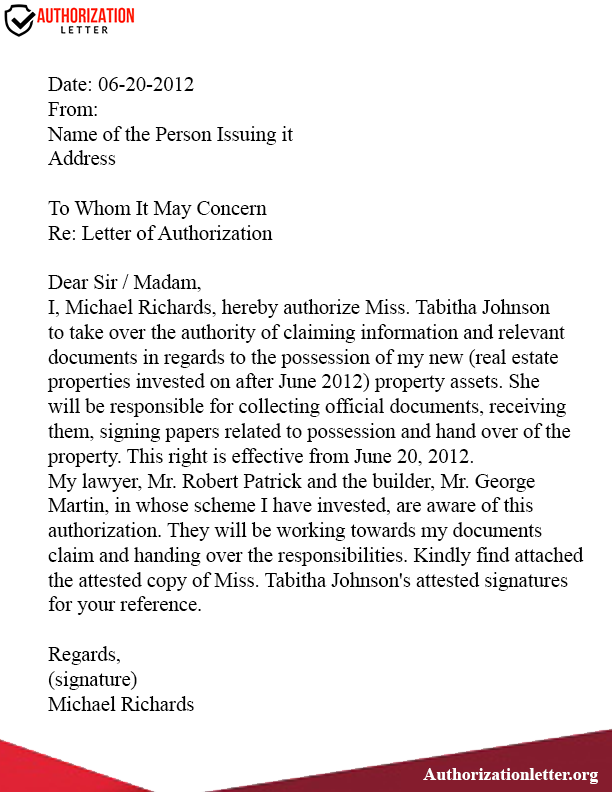 Given below here is a sample of agent authorization letter. 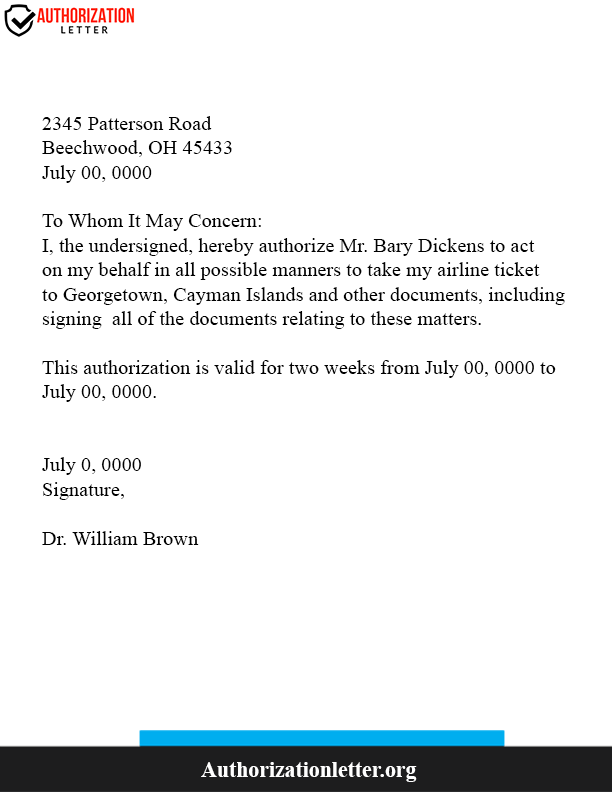 This is an important authorization letter which you might require in many situations. Suppose you need to sign on an important document urgently and you are not physically present there. 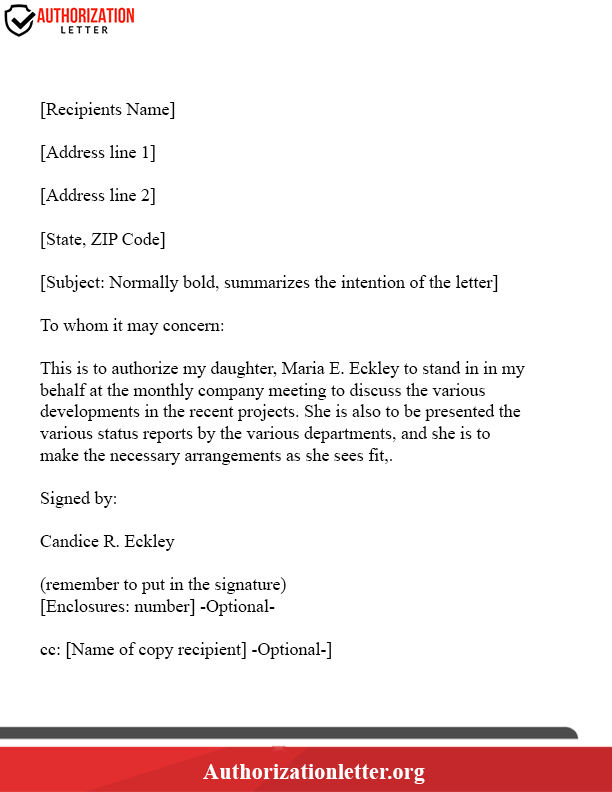 In such situations, you can authorize any other person to become a signatory in your place by writing a signed authorization letter. So this will a formal document will act as proof of authority that you have given to another person to become a signatory on your behalf. Suppose you have completed your school or college and want to get the original documents back from your school or college. 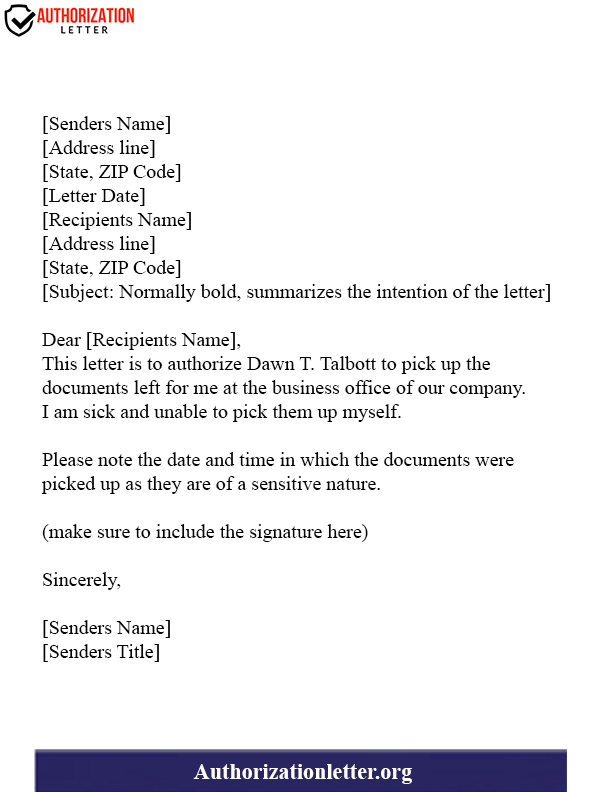 In such situations, you can write an authorization letter to get documents to grant authority to any other person to collect the documents on your behalf. The school or college may require higher authority signatures and identity proof as well along with the document. 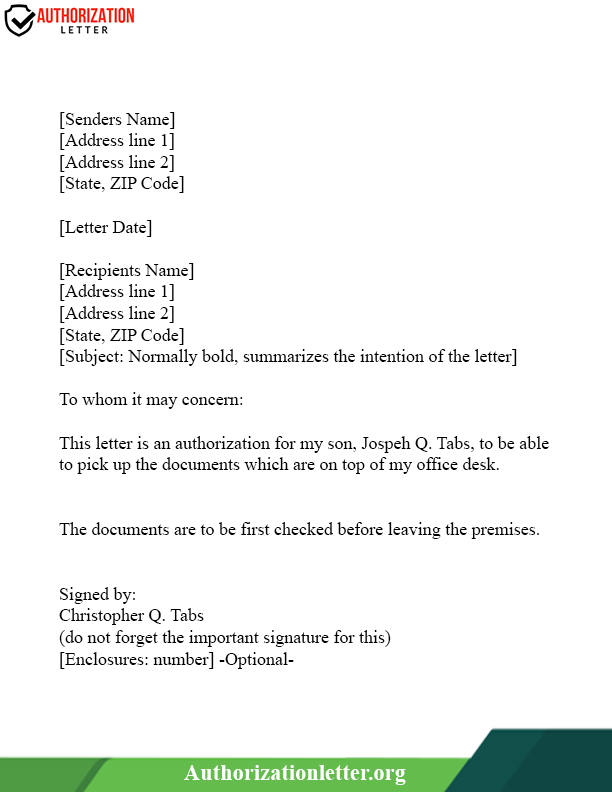 Given below is an example of an authorization letter to get documents which will give you an idea about the same. If you have to give your credit card to somebody for accessing it, they would require the verification proof for using the credit card. For example, the photocopy of both the sides of your credit card. The passport of the credit card holder might also be used. 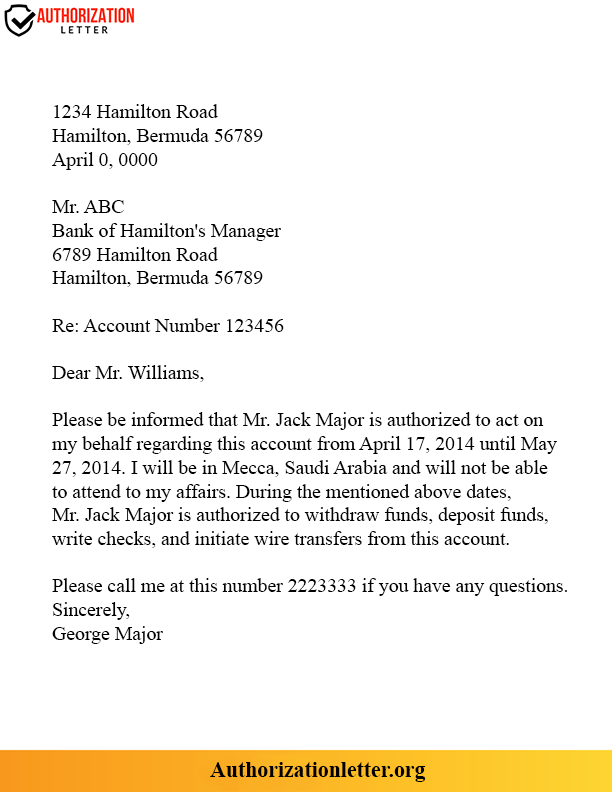 The authorization letter should mention that the particular person can use your credit card. 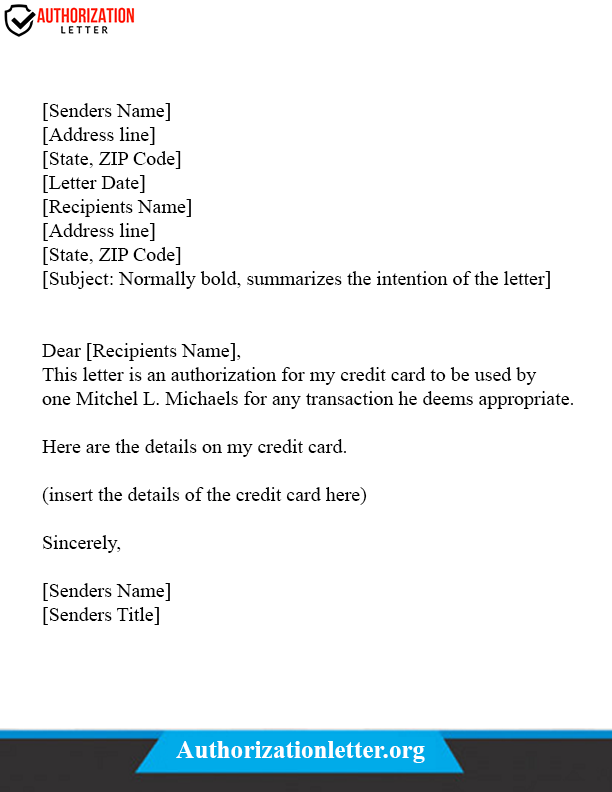 Here, we have provided you with an example to help write your own credit card authorization letter better. 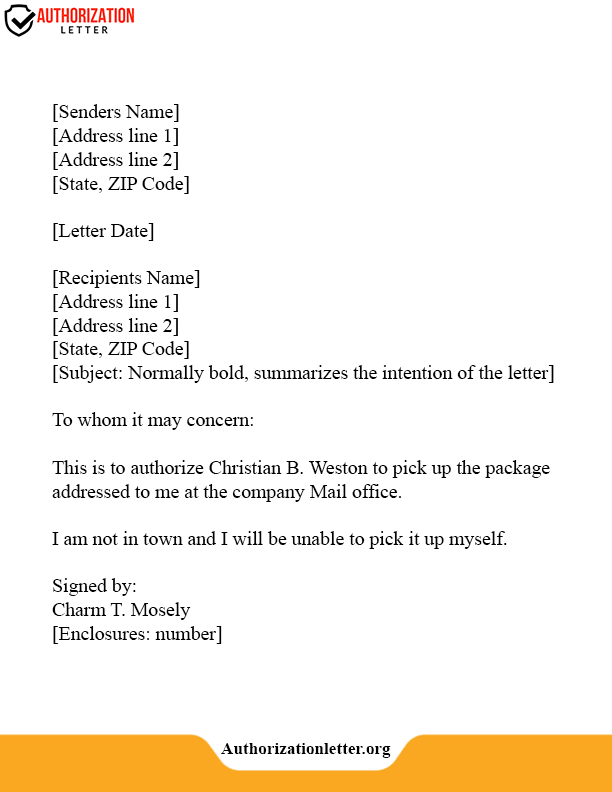 This authorization letter is used to provide legal authorization and is used for most business purposes. 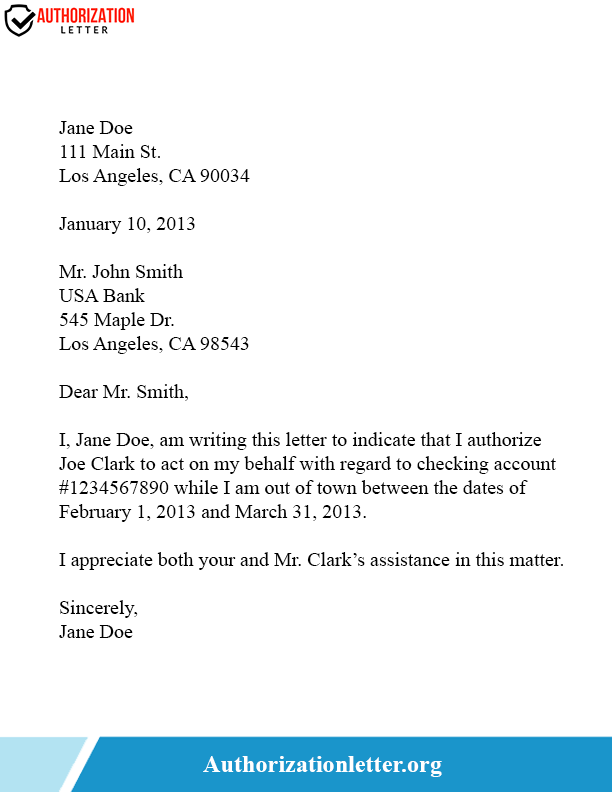 Notarizing your authority letter gives it a valid authorization to use it for any purpose and no one can deny your letter. The notary puts his stamp at the end of the letter. 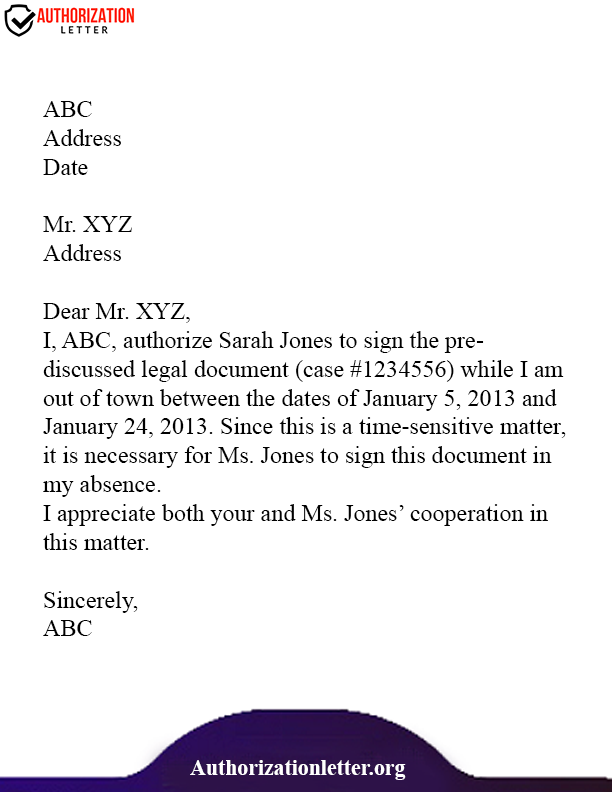 So here through this article, we tried to cover all the formats of the authorization letter. We hope you found the article useful and it helped you learn more about the authorization letters. If you still have any queries or suggestions, you can feel free to contact us.